NanoJobs.com - is about jobs for everybody, irrespective of their role, salary, or location. NanoJobs.com is brought to you by Nano Job Consultants Pvt. 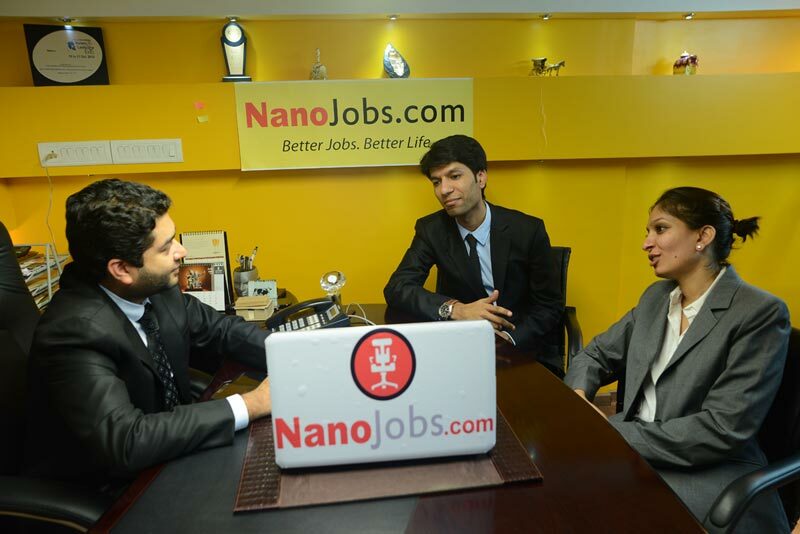 Ltd. NanoJobs.com is the latest initiative and step taken by the management Nano Job Consultants Pvt. Ltd. for eliminating the problem of finding blue and grey collared workers. Nano Jobs Consultants Pvt. Ltd. a.k.a. Nano Jobs has adopted unconventional and innovative methods to generate interest and awareness of a concept of a job portal among the blue and grey collared skilled and unskilled labour who were till-date uninformed of such a product. Housed in Mumbai, the company currently caters to only Maharashtra region and is rapidly expanding its reach to other states of India, empowering the youth and the other underprivileged employees to lead a better life and experience. Raj Consultancy, the sister concern of Nano Jobs has been in this field for since 2004 and has an in-depth knowledge and understanding the market scenario and condition. Job Portal for all positions and everybody.